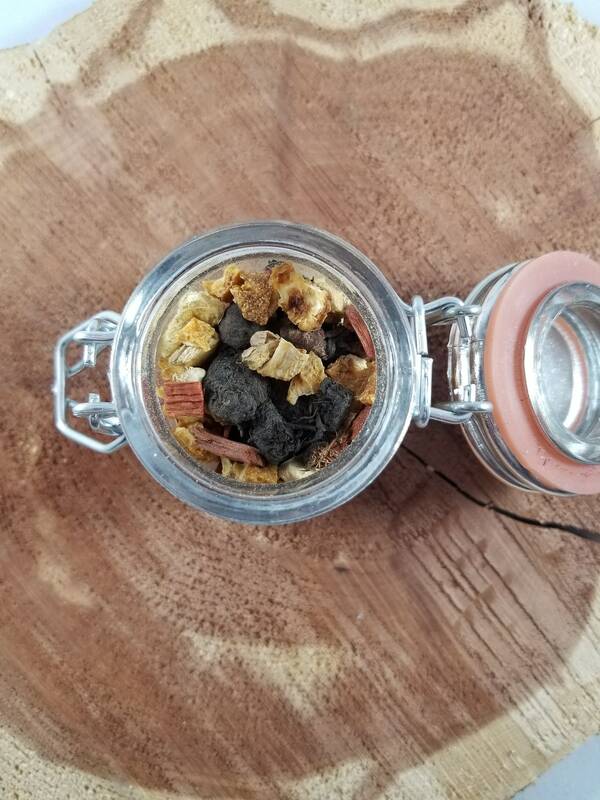 This mixture is intended to be used during fire rituals as an offering but also as a purification blend. 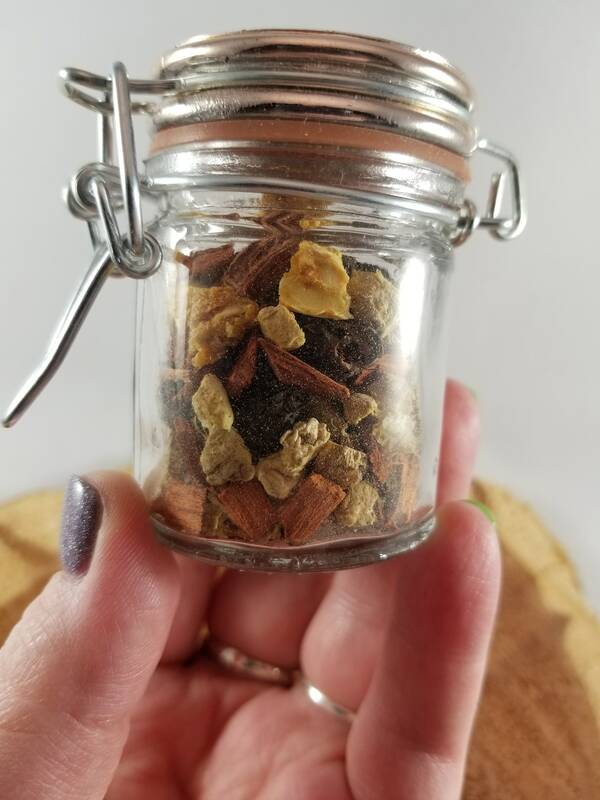 You may use it in a fire pit, fire place, or a large burn bowl (use only a small amount if burning inside, with plenty of ventilation). This blend is NOT TO BE INGESTED. 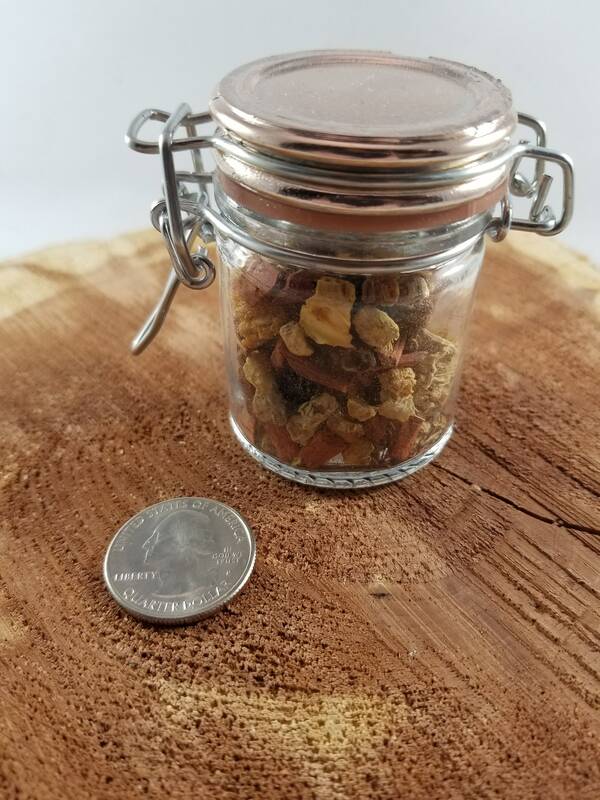 The jar is 4 oz. w/ a Copper Lid. 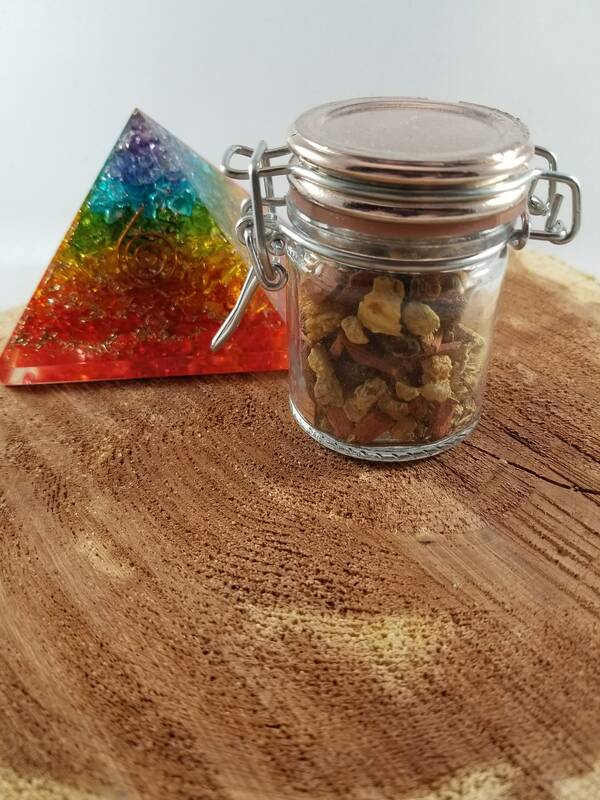 The blend is Flame of the Forest Root, Ginger and Orange Peel--intended to cleanse and raise vibrations.